Our biggest reward is working to support talented teams at great companies around the world and helping them achieve their business objectives by leveraging our solutions. OnPoint’s online and mobile platforms support more than 1 million workers across diverse industries including high tech, wireless/telecom, retail, healthcare, pharmaceutical, manufacturing, financial services, transportation, government with projects that have spanned 15 user pilots to 150K+ learner production deployments. OnPoint’s Learning and Performance Suite (“OPLS”) is a full-featured training and performance tracking solution that empowers organizations to train, cultivate and evaluate their human capital resources. The OPLS platform combines an array of features and modules that are easily activated and configured to address the requirements of most any T&D department to help them manage any combination of instructor-led, online and mobile-delivered enterprise learning initiatives. There are features to create/deploy new content items as well as ingest/package existing ones, an assessment engine to develop tests, surveys and appraisals, flexible ways to schedule and assign instructor-led classes, webinars and other distance learning events, tools to organize and present supplemental resources/materials, and sophisticated utilities to define and generate reminders and call-to-action triggered communications. Most teams manage their T&D programs using highly customized Learning Portals that present a branded learning experience melding business requirements with enterprise design guidelines. Finally, administrator portals provide a secure gateway for managers/supervisors to monitor the progress of their subordinates, run reports and measure training outcomes for their teams and programs. Cara is a privately held Canadian catering services and franchise restaurant company which includes well known chains such as Harvey’s, Swiss Chalet, Kelsey’s, Milestone’s, and Montana’s. They have utilized OnPoint’s LMS/LCMS and Learning Portal solutions since 2006 to deliver a variety of position-specific online training to more than 75,000 active restaurant staff and management. OnPoint hosts the company’s dedicated server environment that manages all Cara users and content, but each Cara brand has its own look and feel – brand-specific portals are presentedto learners based on the restaurant groups they are associated with. Traditional T&D initiatives are typically based on the definition and delivery of highly structured training programs that impart institutionalized practices and procedures that change only periodically. Modern era sales professionals face a different challenge in that they generally know “how” to sell, “who” their target customer is and “how” they think but the “what” in that equation – actual product knowledge – keeps evolving and expanding. Many organizations require sales professionals to become certified to ensure the communication of clear, relevant and timely information about newer products and service offerings thus motivating sales managers to rethink traditional sales training tactics with next generation tools. OnPoint enables training & sales teams to design and develop convenient, easy to use solutions to ramp up sellers quickly and provide them with “always on/always available” tools that keep them prepared and informed right up to and even during the actual sales process. Bass Pro Shops, one of North America’s most innovative and destination-oriented retailing establishments, has utilized OnPoint’s CellCast Solution platform since 2010 to train and certify sales teams responsible for one of Bass Pro’s most profitable products – their armada of company manufactured sport and fishing boats sold under the Tracker Marine brand. Retail sales teams and channel partners are able to complete the Tracker Sales Certification Program through shared iPads in each store location. Courses and simulations are consumed offline on each device to deliver optimal performance for each sales associate and to not negatively impact the store’s bandwidth during business hours. This mobile and online learning initiative resulted in a 100% certification milestone for all sales associates and partners across the Tracker Marine Group, and also raised the customer satisfaction scores. Onboarding has become a highly specialized training discipline and has emerged as an area of emphasis for enterprises looking to accelerate the productivity of new hires in critical areas like sales, service, customer support and management. Onboarding programs vary in style (e.g., ILT, online, blended), structure (e.g., training, mentoring, social) and length (spanning days to months) and many T&D teams find it challenging to match their unique onboarding program requirements -- with the features of their legacy LMS/TM platforms -- especially when looking to introduce mobility-centric components to these training efforts. OnPoint’s unique combination of online, mobile, custom UX, social and integration features allow training and sales teams to rethink their onboarding approaches and introduce more intuitive, easy to follow “best practices” that deliver essential training, schedule mentoring/coaching, offer a social aspect for participants, measure competency and gauge program effectiveness. W.W. Grainger is a Fortune 500 industrial supply company and has been utilizing OnPoint’s OPLS, CellCast Solution platform and Gamification Engine features to digitize and mobilize onboarding materials for new hire sales personnel since summer 2013. Grainger’s onboarding program replaced a manual process eliminating the cumbersome three-ring binders they traditionally used with weekly checklists organized and accessed via company-provided Apple iPhones, iPad tablets and via a customized online portal. Weekly onboarding tasks span courseware to complete online, sessions to attend via Cisco Webex, assessments to measure their knowledge and retention, scheduled meetings with mentors, social collaboration with peers through discussion rooms and more all as part of the 26-week onboarding program. Grainger also supplemented online/mobile/classroom activities with “game mechanics” creating a competitive, more engaging atmosphere to improve and accelerate new hire training. 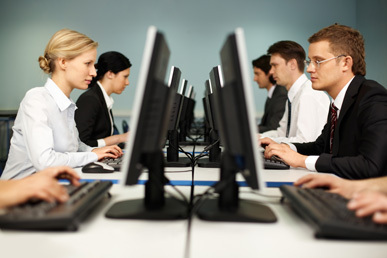 Associates working in highly regulated industries like pharmaceutical, medical, energy, government, the legal profession and others must concern themselves with not only their standard training and certification obligations but also with regulatory and compliance-related programs that monitor individual and company adherence to predefined standards and practices. Regulated employees must learn, understand and apply the various rules that govern their behaviors at work and have quick and easy access to often ever-changing policies and procedures. 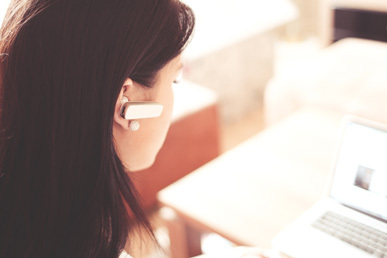 Dozens of customers have used OnPoint’s online and mobile delivery solutions to produce highly customized yet practical tools to package, deliver and track compliance courses, to organize and update rules and regulations (based on geography, location and/or markets), and to accelerate organizational compliance. 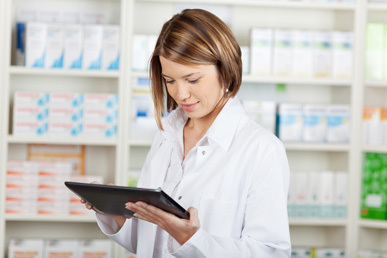 Eli Lilly & Company, a global pharmaceutical concern producing a number of well-known drugs, was an early mover in the mobile learning space and has used OnPoint’s CellCast Solution platform for six plus years to deliver training, compliance and performance support materials to sales representatives across multiple product and business lines. Lilly’s use of CellCast has evolved with the mobile and tablet space as a whole and has grown from low-fidelity BlackBerry content to rich and interactive materials utilizing Apple iPad tablets as well as Microsoft Windows 8 tablets running an installed CellCast native app. Today, more than 9,000 sales associates in various countries use CellCast to review training and compliance information wherever they travel and deliver their services. Sales training is another highly focused and specialized method of teaching employees how to accurately and effectively offer a product or service to a customer, along with the key resources needed to close the business. It can often take from 30 days to more than 180 days for new sales professionals to become acclimated to selling a company’s products or services; therefore, having effective training implemented early on helps both the new employee and their organization to accelerate business performance. Larger companies often have their own dedicated sales training teams with separate training budgets and approaches, allowing them to select, install and support their own enterprise applications and platforms; sometimes these tools operate independently or they need to be integrated with other sales-specific services like a Sales Force Automation (“SFA”) or Customer Relationship Management (“CRM”) platform. Several progressive teams have leveraged OnPoint’s online and mobile solution sets to help them rethink their annual or ongoing sales training initiatives through different combinations of customized learning portals and native apps buttressed with various social and game-enabled learning features that more typically motivate sales professionals over other employee demographics. AutoTrader Group (“ATG”), a division of Cox Communications, decided to modernize their sales training approach -- away from their traditional classroom delivered model, into an online/mobile delivered training model with the objective of “replacing travel with technology.” All principle sales training for the upcoming 2014 calendar year was rethought and delivered in late 2013 using ATG-branded CellCast mobile apps and feature an equivalent ATG-branded online sales training portal as well . 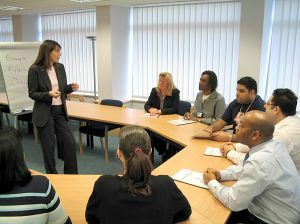 The structured training program included more than two dozen different training courses, videos, exercises, assessments and mastery demonstrations utilizing nearly the full set of functionality found within the OPLS and CellCast solution sets to deliver the prescribed learning and business communications typically imparted in the past via a two week onsite training program. ATG enriched the training experience through extensive use of social features, game mechanics and regular mastery demonstration activities leveraging user generated content (UGC) features found within the CellCast platform to engage learners virtually and to better simulate the classroom experience. ATG’s efforts resulted in a 98% completion rate of all assignments (including the UGC activity submissions) and a savings of approximately $2 million over traditional classroom training efforts. ATG’s sales training initiative won ‘Best in Show’ at the June 2014 eLearning Guild’s mLearnCon conference in San Diego. A product launch use case is similar to traditional Training & Development or Sales Training use cases but varies based on the notion that the intended audience to be trained/informed is likely external rather than internal. Product launch programs are typically part of broader product marketing and brand campaigns, and the information that comprises these programs may be designed for either the sellers or the consumers of the new product or service being introduced. A few key distinctions about the target audience: generally workers positioned at the point of product/service delivery in a retail or distribution channel would have access, but the training content is not compulsory and the technical means they’ll utilize to acquire and consume these materials will vary widely. The flexibility of OnPoint’s online and mobile delivery solution sets enables organizations to design and deliver their product launch programs to audiences of nearly any size and via whatever digital means the target recipients favor, from online to tablet to handset to laptop. OnPoint specializes in product launch training solutions for technical offerings and has completed projects for some of the world’s best brands including BlackBerry, Samsung, Sony Electronics and others. BlackBerry, formerly Research in Motion, worked with OnPoint throughout 2013 to implement a global product launch training program supporting training teams at wireless carriers and big box retailers around the world who were seeking to educate their sellers on their long awaited BlackBerry 10 handsets. The program was the ultimate Bring Your Own Device/”BYOD” initiative as OnPoint’s expansive device support allowed BlackBerry to enable training delivery to participants on any available handset or tablet. 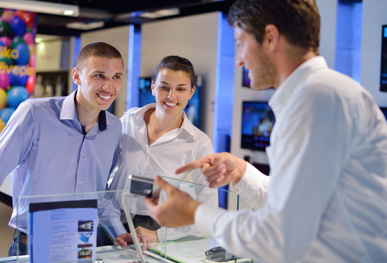 Utilizing a responsive user experience framework, retail employees carrying Apple iOS, Android, Windows Phone, and BlackBerry devices were able to access and acquire BB10’s unique features and value proposition through a series of scheduled weekly training interventions using their own devices of choice. The program targeted 100K+ workers in 24 countries in 16 languages. Performance support systems can help organizations reduce the cost of training programs while increasing productivity and performance, and can empower employees to perform tasks with a minimum amount of external intervention or training. Performance support solution sets are typically considered when (a) skilled performers are spending a lot of time helping less skilled performers, (b) when new workers must begin to perform immediately and training is impractical, unavailable or constrained, or (c) when employees need to be guided through a complex process that is not practiced with regularity or may be difficult to memorize. OnPoint’s online and mobile technologies assist T&D, support and sales teams seeking to define, package and deliver performance checklists that can be accessed, followed and validated through easy to navigate systems and digital applications that deliver the most current version of a defined process or practice whenever those actions need to be performed. OnPoint has worked with several wireless carriers who have invested considerable time and resources to automate their field service practices and procedures using digital eBooks that serve as documentation and also provide checklists for commonly followed support tasks performed in the field. 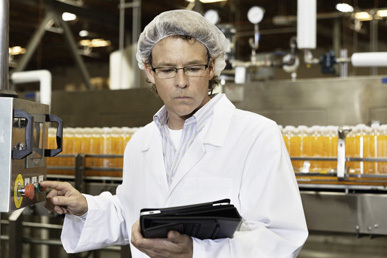 Technicians can easily locate and launch the specific procedure they require on their tablet, handset or laptop through a highly customized user interface, follow the prescribed process steps, and digitally record their progress as well as record job-specific details that can be uploaded to a centralized support platform or reviewed by a supervisor. OnPoint’s flexible platform also makes is easy and practical for technicians to launch related training courseware, participate in support forums, and capture/share digital images and videos with their coworkers and managers.